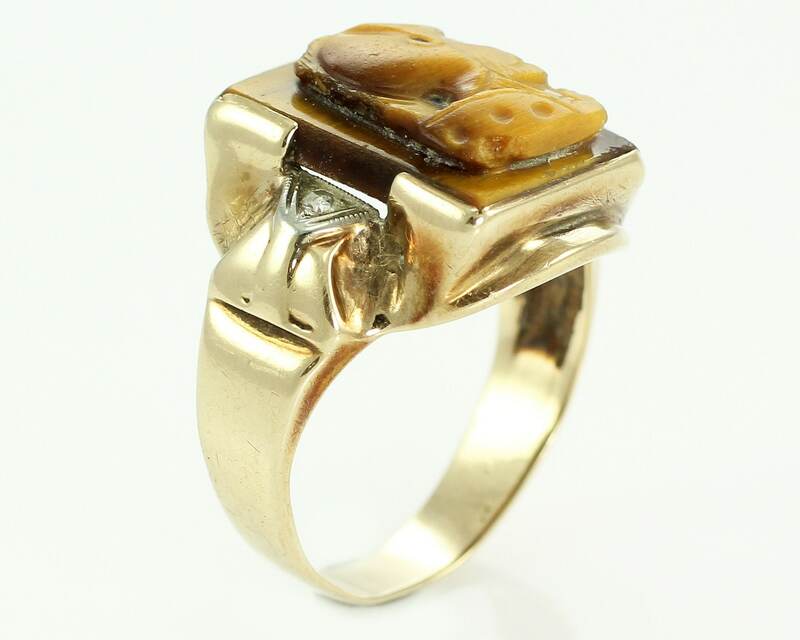 Art Deco Vintage Gent's Ring of 10K with Tiger's Eye Cameo and Diamond Accents. 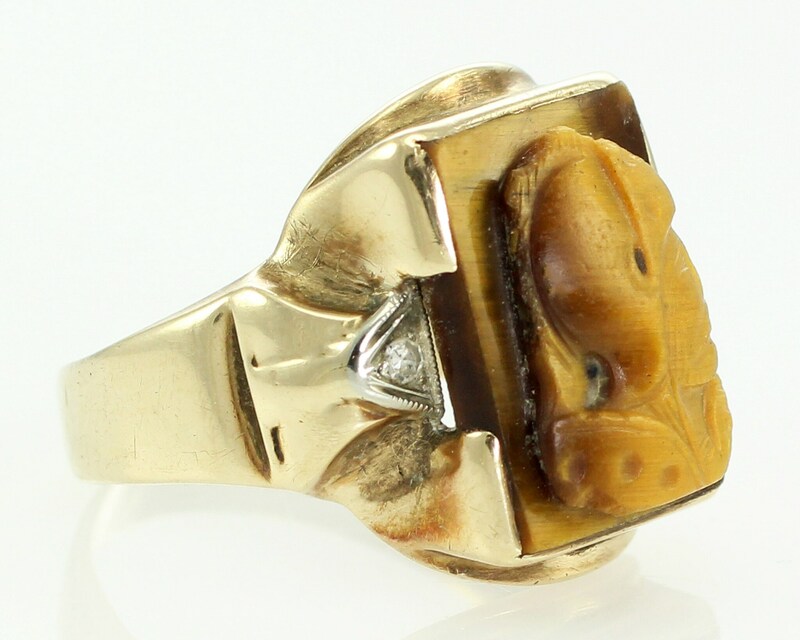 This handsome 10K yellow gold ring features a carved rectangular cameo of warrior or knight executed in tiger's eye and set in a partial bezel mounting. The carving is flanked by a single cut diamond on each shoulder bead set in a 10K white gold triangular setting with milgrain detail. The overall design has the chunky, bold curves and angles epitomized in the Art Deco era. 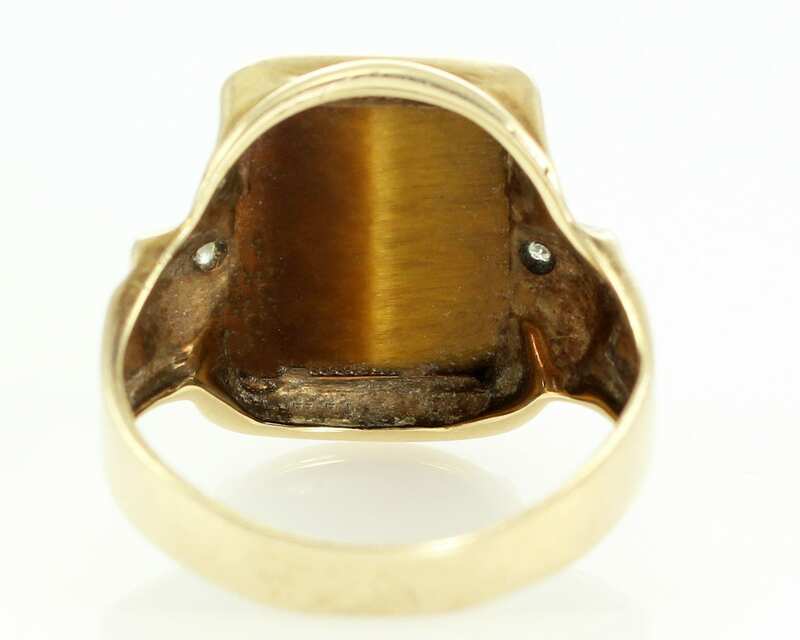 Total weight of the diamonds, as estimated by measurement, is .05 CT. 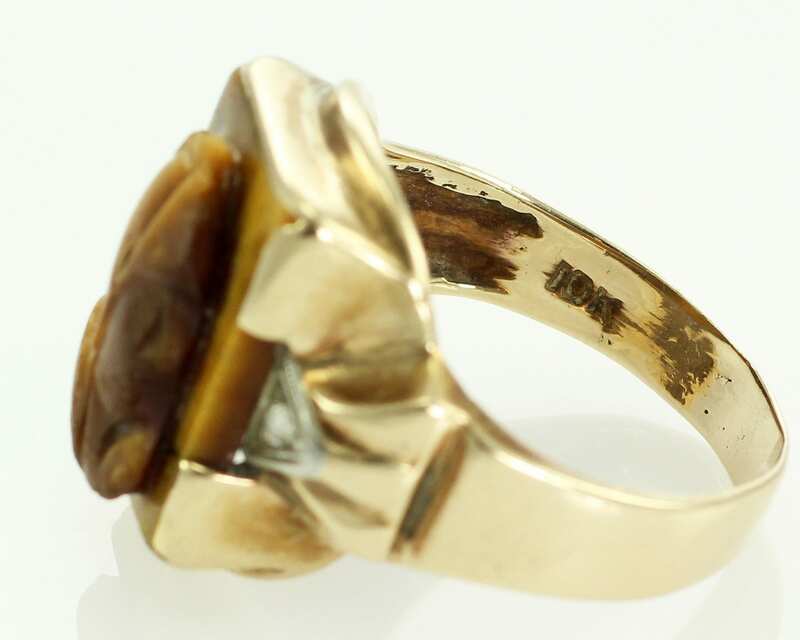 The ring is in Good Vintage Condition, with expected surface wear and some damage to the cameo, including chipped corners and loss tot he crest on the helmet. 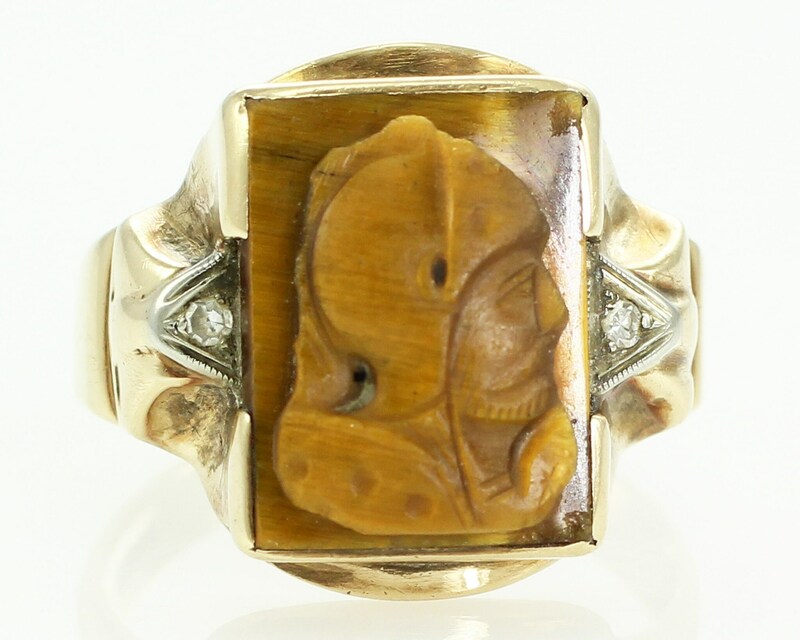 CONDITION: Good Vintage Condition, with minor surface wear appropriate to age, chipping to the corners of the cameo and some loss to the carved helmet crest. 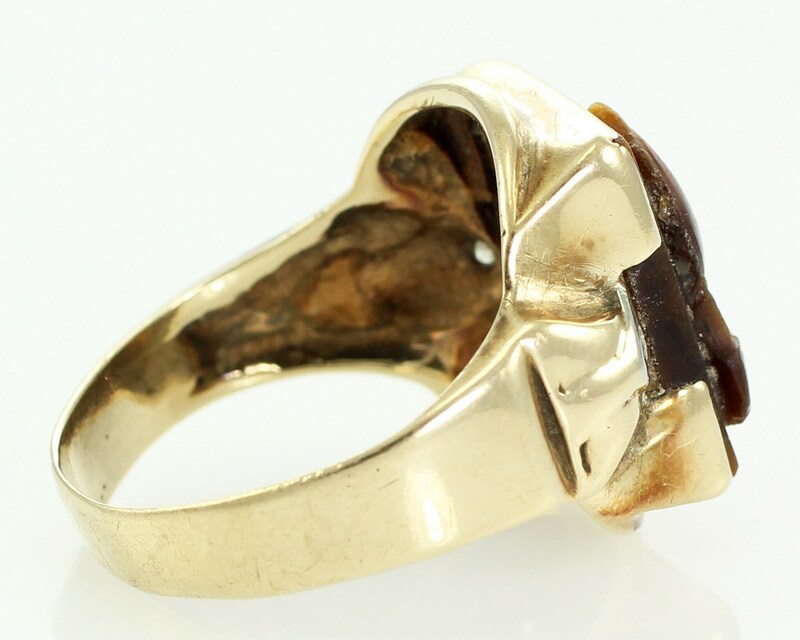 SIZE/MEASUREMENTS: Ring measures 19.6 mm wide at head and tapers to 4.25 mm at reverse of shank.